The state of Montana has produced a proliferation of Division I talent when it comes to women’s basketball for years. Consequently, the rivalry showdown between Montana and Montana State has been as flush with in-state players as any contest in any sport between the old and fierce rivals. On Saturday afternoon, the two teams will battle for the 106th time. A total of 10 players from Montana — seven for the Lady Griz, three from the Bobcats — will compete in the clash at Brick Breedin Fieldhouse. But for the first time in recent memory, the familiarity of the two teams is not as aligned as usual. 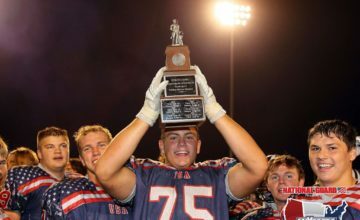 “It’s a different rivalry this year in the fact that there aren’t so many familiar faces on the roster over there, Montana kids who they have typically grown up playing against each other in high school,” said Montana head coach Shannon Schweyen, a Billings native who has been a part of the rivalry for more than 30 years counting her time as a player, assistant coach and head coach. “It’s a little different feel. They have two transfers (Claire Lundberg, Martha Kuderer from Seton Hall) who haven’t played in the rivalry. We also have some young kids who haven’t been in it before. 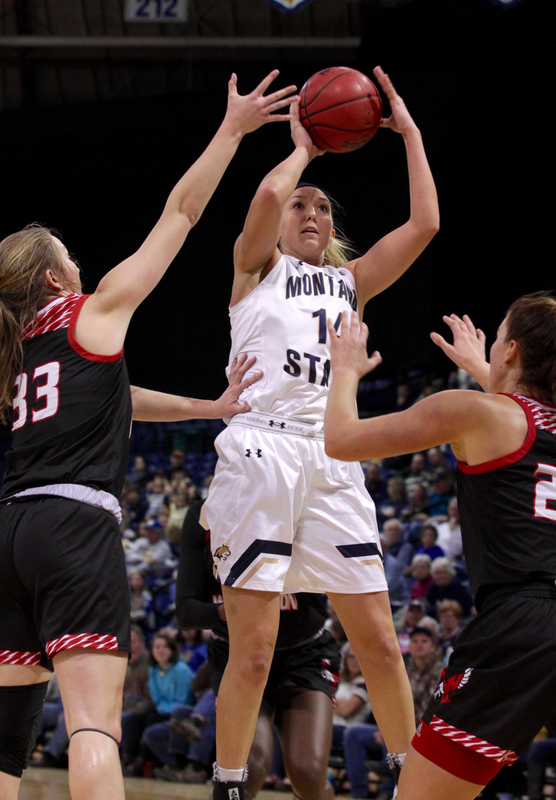 Montana State’s roster features Madisyn Shaide (Missoula Big Sky), a junior who is playing 2.4 minutes per game, along with true freshmen Kamden Hilborn (Helena) and Brynley Fitzgerald (Dillon). The Lady Griz are led by senior Jace Henderson, an All-Big Sky Conference front-runner from Billings Senior. Montana’s lineup also features point guard McKenzie Johnston, a junior out of Helena Capital who was an honorable mention all-league selection last season. 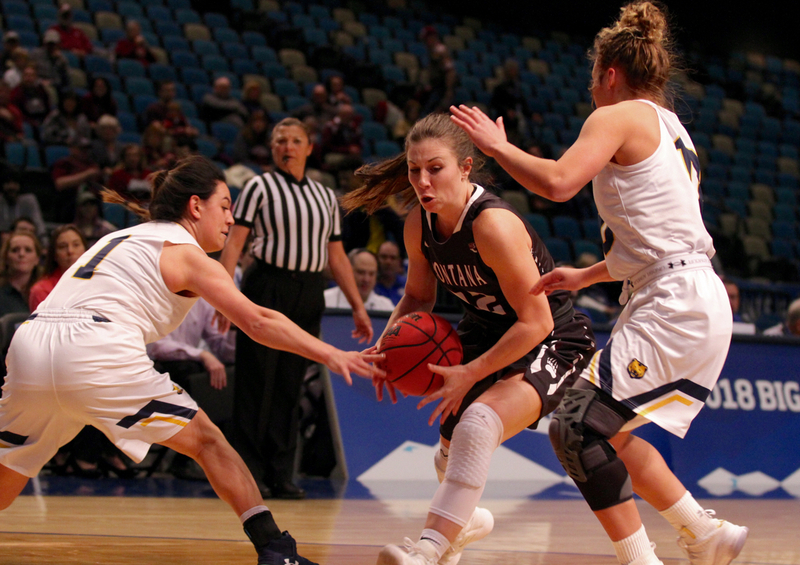 The rest of the in-state products for the Lady Griz are either injured — Malta product Sophia Stiles suffered a significant knee injury last season, Hamilton native Taylor Goligoski was ruled out for the year earlier this month — or rookies. The UM roster features walk-on sophomore Lee Camel from Ronan along with Schweyen’s older daughter, Jordyn, who is playing 10.7 minutes per game, and her former Missoula Sentinel teammate Kylie Frolich, who is playing 6.1 minutes per game. 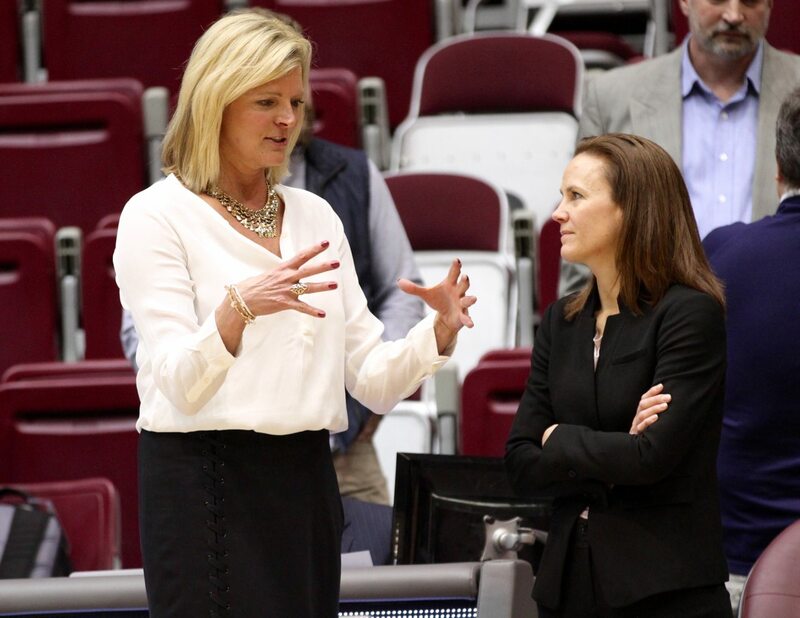 Schweyen has been a part of the Cat-Griz rivalry since she came to Missoula in the late 1980s to play for her mentor, legendary Lady Griz head coach Robin Selvig. The Lady Griz claimed 21 Big Sky championships in Selvig’s 38 seasons at the helm. Selvig’s acumen played a large hand in helping Montana build a 78-27 lead in the all-time series. But Montana State has won five of the last seven, including four straight times in Bozeman. Montana State head coach Tricia Binford is in her 14th season at the helm. She incrementally built the Bobcats into a perennial contender, then the dominant program in the league in recent years. The Bobcats won the league three and two seasons ago, advancing to the NCAA Tournament for the first time in a generation during the 2016-17 campaign. That group featured a core of Montana and Eastern Washington players who grew up playing AAU with and against one another. Two Spokane-area club teams (Sandpipers, Blazers) team gifted MSU with Lindsay Stockton, Hannah Caudill and Delaney Junkermier from the Evergreen State along with Alexa Dawkins (Bozeman) and Big Sky MVP Peyton Ferris (Twin Bridges) from Montana. The 2015-16 championship team also featured Jasmine Hommes, a Lynden, Washington native and the niece of MSU Hall of Fame Blythe Hommes, a Manhattan, Montana native. Binford’s squad this year has a much more Midwestern feel. Because of former associate head coach Nate Harris’s connection to the Minnesota Fury club team, the roster is littered with former members of that squad. Lundberg, a 6-foot-1 former starter at Seton Hall who is sixth in the Big Sky in scoring at 17.6 points per game, is the leader of the group. Junior Martha Kuderer, also a Seton Hall transfer who sat out last season, is averaging 10.6 points per game. She also hails from Minnesota. Sharpshooting sophomore Tori Martell plus true freshmen Gabby Mochi and Sidney Zieske are all from the same club program. Hilborn, a 5-foot-7 point guard, who was the Class AA state tournament MVP after leading Helena High to a second straight state title, is MSU’s best chance for Montana minutes on Saturday. “On the Cat Chat radio show, they asked Martha what she expected the rivalry to be like and she said she knew instantly how intense it was last year watching it,” said Binford, who is 10-19 against UM in her career. “All our girls are so excited. Once you’ve been able to visualize and see one and know what it’s all about and once you understand the state of Montana, you get it. Magnifying this year’s matchup is the fact that the Bobcats and the Lady Griz are two of the league’s most enigmatic teams. MSU’s 79-66 win at defending league champion Northern Colorado is one of the signature wins in the Big Sky. Montana’s 82-79 victory over preseason Big Sky favorite Idaho behind an iconic 31-point, 12-rebound performance from Henderson also put the league on notice. 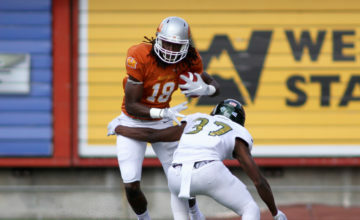 But the rivals enter Saturday’s showdown with 5-4 records in Big Sky play. Each has head-turning wins along with head-scratching losses. 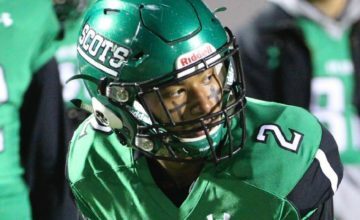 The winner of Saturday’s matchup will earn statewide bragging rights, at least until the rematch in Missoula later in February. The winner will also have a leg up when it comes to the race for a first-round bye at the Big Sky Tournament in Boise in March.